The economy situation is bad right now. Indirectly, this affects our spending. To save you all the hassle of trying cheaper beauty products, I volunteer to do it for you. Personally, I am a big fan of Daiso. My favourite aisles are usually the festive section, kitchenware and stationery. Most of the time I will take a peek at the beauty section, but I've never tried any beauty products from Daiso before. With just RM5.90 (yes, the price increased recently, previously was RM5+6%), the price is really cheap compared to other drugstore products. But the price kind of giving me a doubt - do the products work, what is the quality of the product, is it harmful to my skin? Hopefully I can answer all that questions by the end of this post. There is only one type of foundation available at Daiso and only one shade to choose from. After I got the products out, my first impression was "Wow, this is so thick, must be full coverage". But I was wrong. 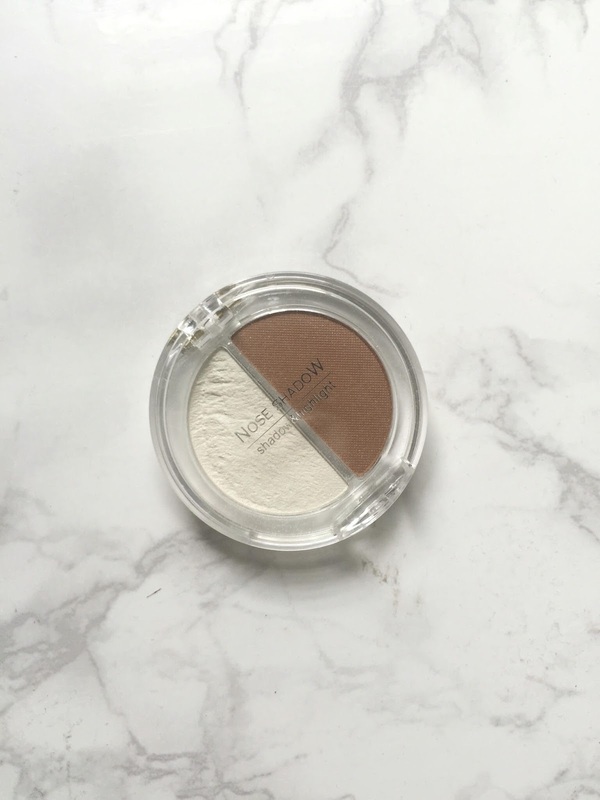 The coverage is medium and buildable to full coverage (you have to let the first layer settle first and apply second layer for higher coverage). It doesn't cover scars or To my surprise, this foundation is really great. From my layman observation, it is not as hydrating as branded foundation. You will have to apply a primer underneath. I think this foundation is usable. But I do not encourage you to use it daily because I am not sure what are the ingredients inside. However, if you go for traveling or needed a foundation in emergency cases, this foundation is adequate to assist you. The gel eyeliner was kind of disappointing. The aesthetically the packaging looks good with the pink crystal. However, it can look like kids makeup at the same time. There are a few types of eyeliner on the shelf, but I picked up the gel eyeliner, expecting the gel type would be easier to use. It turns out rather disappointing. The gel is dry and chalky. It doesn't give that smooth glide like what I expected. When applying on the eyes, it is hard to get a smooth line. In my opinion, skip this. I had a hard time getting the eyeliner works. After awhile, the eyeliner smudge and the eyeliner wear off. This is by far the worst eyeliner I've ever tried. There are few mascara options and also different colors to choose from. But I pick up this version (Panoramic Curl) because the wand has dual function. I personally think that the wand plays very minimal role in curling the eyelashes, but the mascara formula is pretty good. 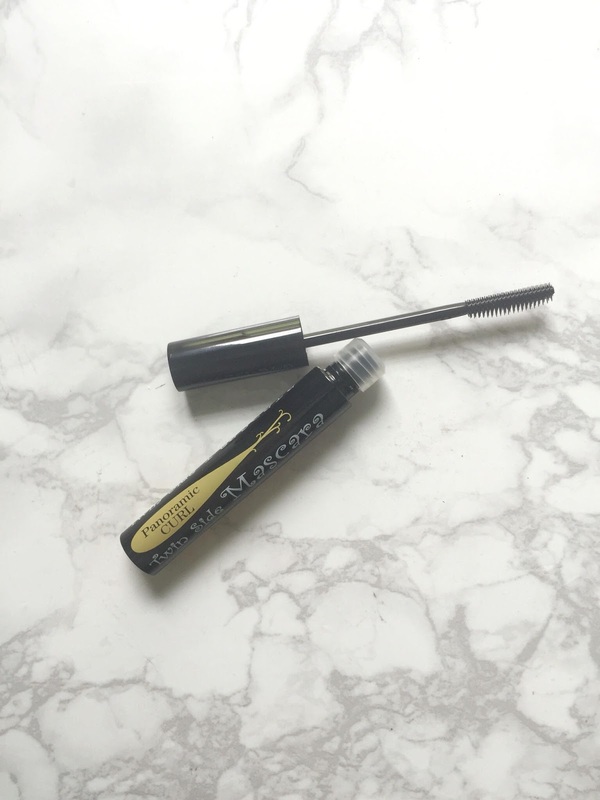 The quality is on par with other drugstore mascaras such as Essence. I recommend the mascara because it is of drugstore quality standard. In fact, it is much better than some other drugstore brand mascaras (ahem... Physician Formula... ahemm...). Since it is more economical, I think it is worth it give it a try. If you're into contouring and highlighting, there's a product here at Daiso for you. The brown powder is too dark for my skin tone, but it works. The highlighter is not that great though. It is just a white powder and lack of shimmer. I have mixed opinion of this product. The contour is good, but the highlight fails badly. It depends on your need. If you're looking for highlighter then skip this. I picked this Anna Sui inspired packaging instead of other eyeshadow because it looks really pretty. The color is also practical since they're all earth tone. It swatches pretty good on my hand. But when I apply on my eyelid, it doesn't blend at all. The lighter colors hardly show on the eyelids, meanwhile the darker colors are too strong. This is by far the worst product of the whole lot. If you would like to try the eyeshadow, go for other option instead of the Anna Sui-inspired type. Is this pretty or is this pretty? My god! The moment I saw this blush my heart melts. It looks so much like Japanese brand blusher. Oh wait.... Daiso is from Japan too. Anyway, what I mean is it looks like it belongs to Etude House or Canmake. It is pretty on the pan, it is pretty when on swatch, it is also pretty when applied on the cheek. Grab this if you see it!!! I love everything about this blush. You can look at it.... is there anything to dislike about the blush? For RM5.90, I think this blush is totally worth every cent. On top of that, it looks like branded Japanese drugstore product. Foundation - medium coverage, not too bad to purchase. Mascara - good to try, no harm getting one. Eyeshadow - skip it or try other options. Nose shadow - you can try it, but you won't lose anything if you skip it. Blush - absolutely get it!!! Now, forget about that ugly makeup I had. It took me 45 minutes to put on due to the eyeliner that is hard to put on and the eyeshadow that didn't blend. Have you tried Daiso beauty products? What do you think about it?